Here's your chance to own a great retail commercial building with high visibility, steady traffic, a great reputation and repeat clientele! 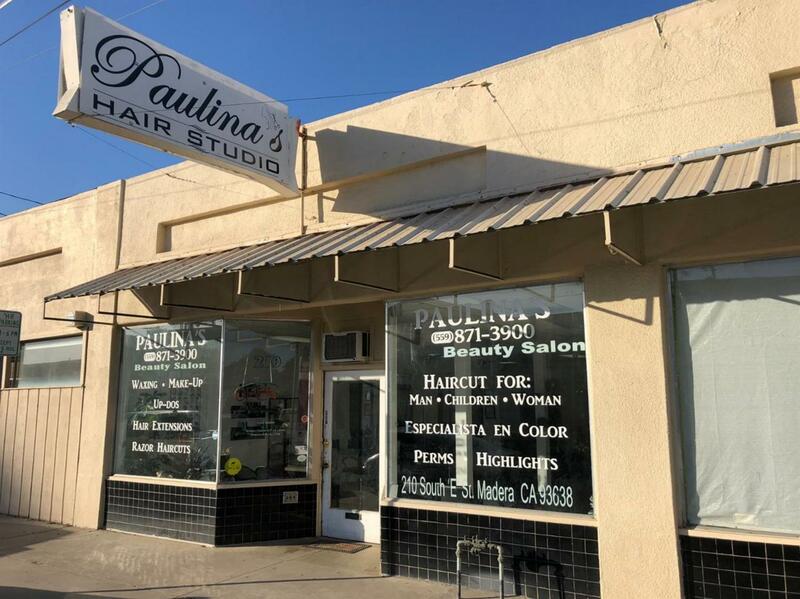 With 15 years of building the business this hair studio has grown its clientele quickly! Sale of this property includes 208 S E St and 210 S E St. 208 S E St is currently rented out to a tenant paying $700 monthly. 208 S E St is about 1,000 sq ft. 210 S E St is about 4,000 sq ft which also includes living quarters with a full kitchen, full bathroom, dining area, living area and bedroom! Please do not disturb either business, call for your appointment for a private showing! Listing provided courtesy of Miguel Gonzalez of Better Homes & Garden Real Estate Goldleaf.